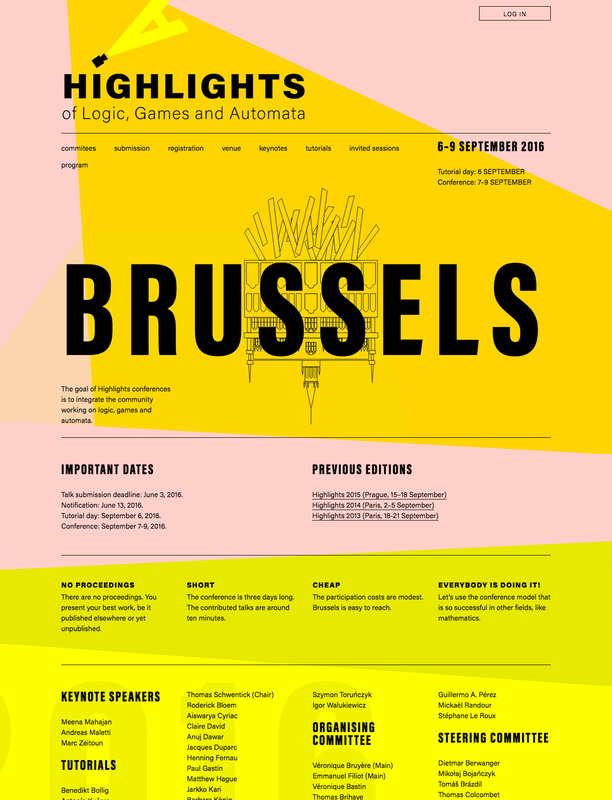 Unique, busy design in this One Pager for ‘Highlights’ – a logic, games and automata conference. Highlights (Special Mention at Awwwards) presents an original approach to creating websites of the conferences. One of the features was the mechanism that displayed currently held lectures without having to install a special application or search for information on the agenda. Another important element that supported exchange of the opinions between participants and speakers was original interface for reviewing the works submitted for the conference.